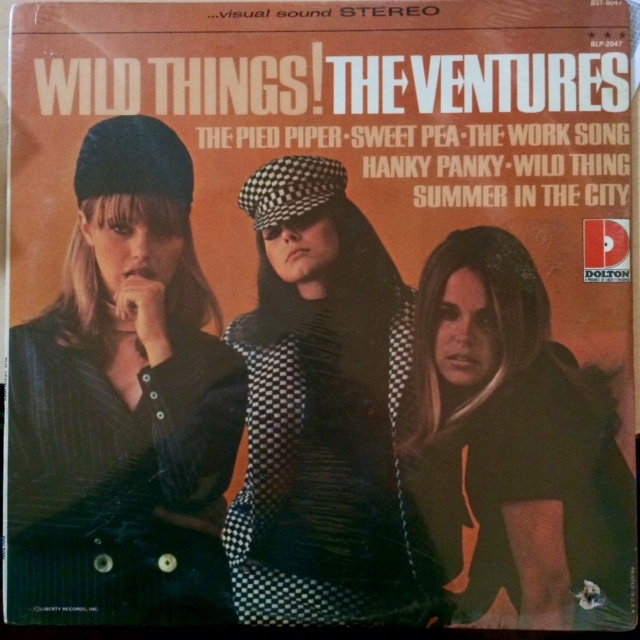 An original SEALED Stereo copy of The Ventures' 1966 classic "Wild Things!" on Dolton - BLP-2047 - There is a CT cutout hole lower left meaning this record most likely ended up in a cut-out rack at one point, also very small holes top left above the letter "W" - Selling at a very reasonable $9.99 due to the holes! Icludes the incredible "Fuzzy and Wild". Grab quick we only have one!